>Something happened to these people. And whatever it was… it wasn't pretty. Kendra: Conclude that Specimen 2-4 probably grew into adulthood with a normal, uncluttered chest cavity. Also assume that 7-12 must have had a normal arm to go with his un-atrophied muscles. The event that caused the deformities probably also killed them. Kendra: Come down with a severe case of The Creeps. OK. Gettin' the creeps. Reeeeally gettin' the creeps. >Keep searching through the files, keeping an eye out for David Wangai's Memo on EM Anomalies in CELADON JUNGLE, it seems like it might shed some more light on the situation. See if you can find any more interesting papers. 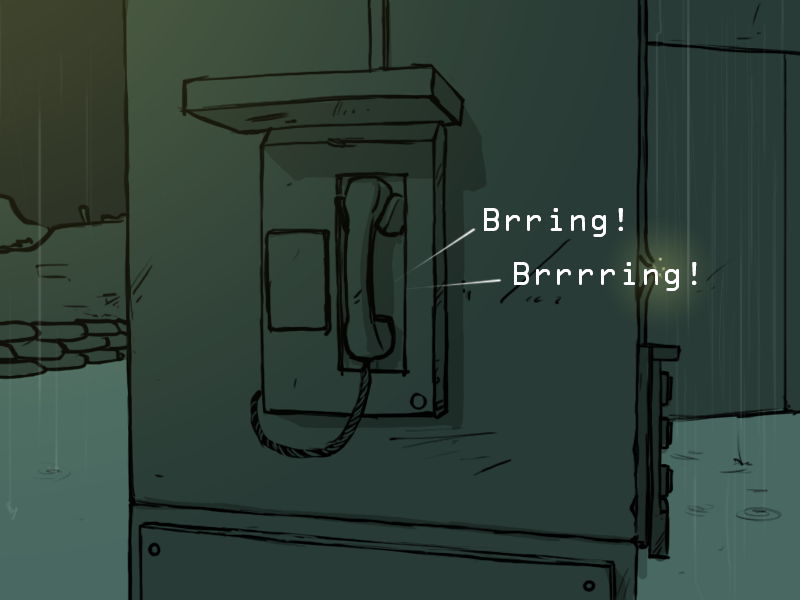 Outside, a phone begins to ring. Bina yells, "You have GOT to be KIDDING me!" +1 reader; wow, I love this adventure! Been reading for a long time, and it's wow. good. Thank you so much PhantomPhrog! That's really nice of you to say!